Take two! 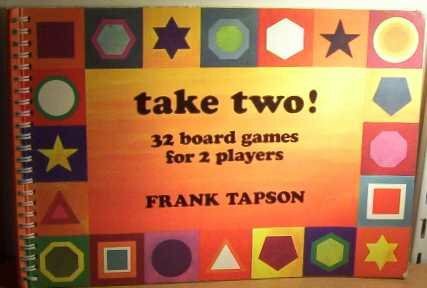 : 32 board games for 2 players was written by Frank Tapson. Take two! : 32 board games for 2 players was published by Pantheon Books. A subject of Take two! : 32 board games for 2 players is Board games. About Frank Tapson (Author) : Frank Tapson is a published author of children's books and young adult books. Some of the published credits of Frank Tapson include Oxford Mathematics Study Dictionary, Barron's Math Study Dictionary.